This is my first 8-Series, I've had four 7-series BMW's and this is a darn-sight faster around the corners!. This car has been mollycoddled all its life, there are absolutely NO dents on the car, no car park scrapes and everything works as it should. 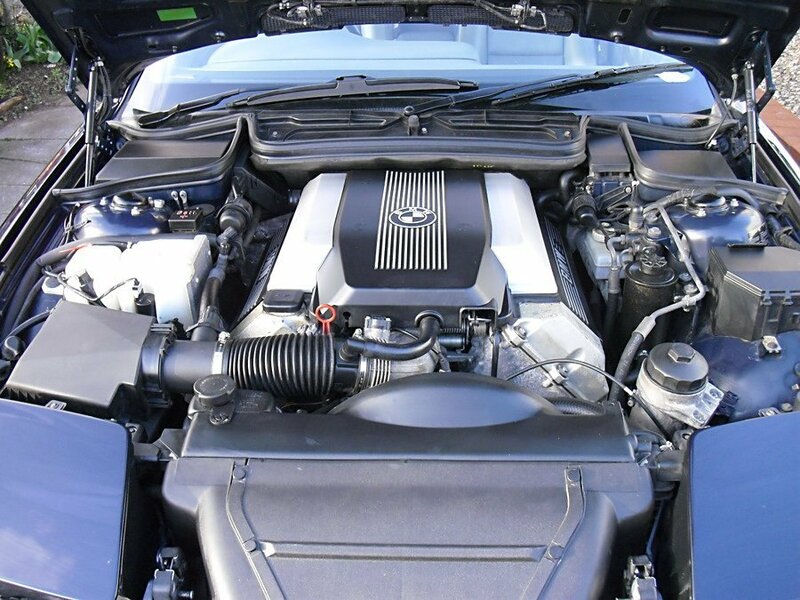 The car is in exceptional condition inside and out, even the engine bay is spotless. The car has full BMW history, all at the same BMW Main Dealer. The bodywork is really excellent, I've seen a few E31's with rusty arches but this has none at all, there are signs of a little starting on the sunroof. Nothing leaks, it doesn't use oil or coolant, no '50MPH shimmy', no tramlining or wander. It drives as straight as an arrow, without bonks or clonks. It doesn't suffer from any of the E31's common problems. 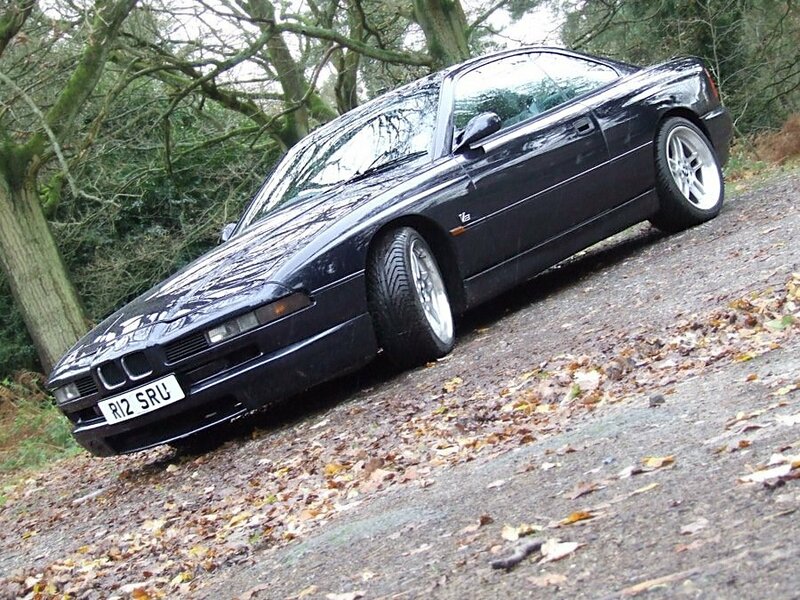 It has been 100% reliable and has never let me down, it is an excellent example of what an E31 should be. Long-distance driving using this car has been effortless, the seats are so comfortable and the car is very quiet at motorway speeds. This car is a Sport model which means that it has a front and rear splitter and updated wing-mirrors. It also has the later M62 4.4Ltr engine which utilises the Alusil rather than the Nikasil process to harden the cylinder surfaces, not that Nikasil problems bear any credence in 2012. The 8-series 840ci is a fantastic car, when cruising at 75MPH you will see a return of 30MPG-33MPG on standard unleaded petrol. At this speed the engine is effortlessly turning at 2,100 RPM, on the motorway you will be able to hear every nuance from the 10-speaker CD system. However, if needed, the 840ci will kick it's heels with a gentle prod on the throttle, 75MPH to 100MPH is achieved with no fluster and only a slight throb of the V8, brilliant for that quick overtaking move. And that is what is so great about this car, it is the best of two worlds. You can drive like a chauffeur, no jolts, no engine noise, just an effortless surge in speed. Or, you can tip the 'stick into Sports mode and hit the kick-down, the only thing that stops you leaving your tyres on the road is the super-quick Anti-Slip-Control (ASC) which electronically controls the throttle to a point where you accelerate blindingly quickly and still keep the tread on the tyres! All this achieved with the V8 roar which although subtle is pretty inspiring. If you really want you can pretend to be driving a 5-speed manual (which you are!) by using the Steptronic box. From Sports mode just push the gear lever forward and backwards through the box but without the hassle of a clutch or the possibility of sticking it in 1st when still going 70MPH. To be honest, the Sports mode will do better changes without a human in the command chain. 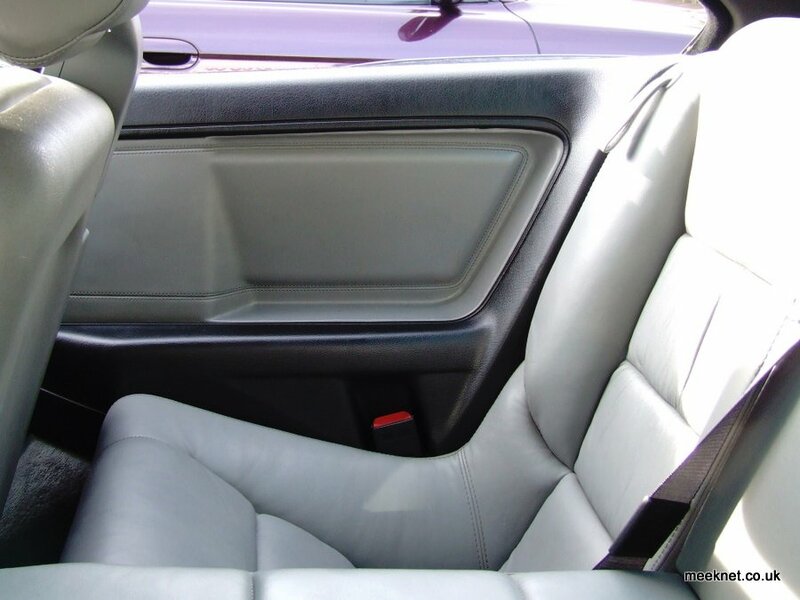 The centre console is a work of art, so German in design with its functional and ergonomic appearance. These often suffer from fading displays where a number of columns of pixels fail, fortunately there are no problems here. The design shows its lineage with the E32, the dual-climate control is almost identical except the wheels are below the buttons. 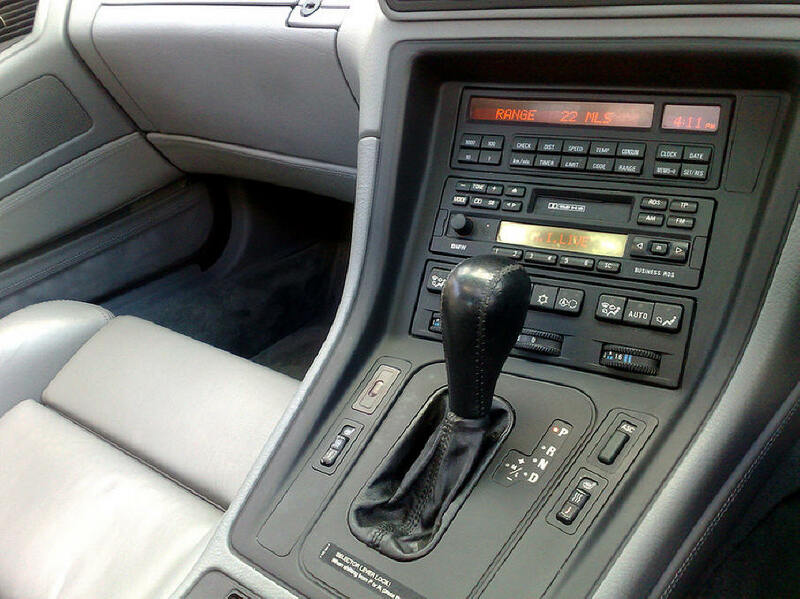 The on-board-computer is closer to the design of the E38's MID, but looks can be deceptive as the E31's OBC is a self-contained unit whereas the E38's MID is a simple controller and display. As this car had the Becker Indianapolis GPS fitted, there is an antenna fitted below the dashboard ready to be connected to a GPS unit.